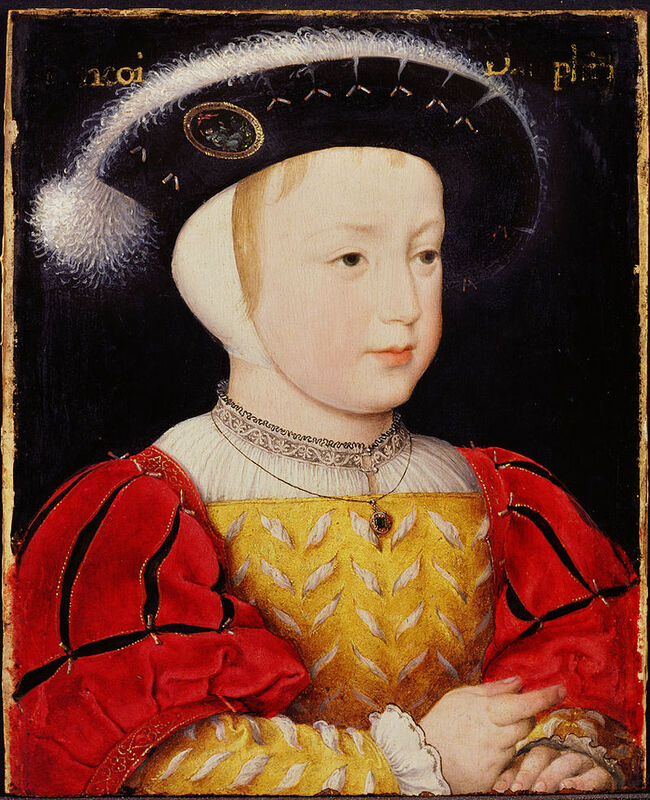 On February 28, 1518, Queen Claude of France gave birth to her third child and first son at the royal Château of Amboise. He was named Francis. There was great rejoicing at this birth and his parents were exceeding happy. Queen Claude said “Tell the King that he is even more beautiful than himself”. The proud father King Francis I said “A beautiful Dauphin, who is the most beautiful, strongest child that one could imagine, and who will be the easiest to bring up.” In celebration of his birth, bonfires were lit and all the bells of the kingdom rang. Plans commenced for a grand, triumphal ceremony which was set for April 25, 1519. The Pope was named the child’s godfather and his godmother was his aunt the Duchess of Alençon. 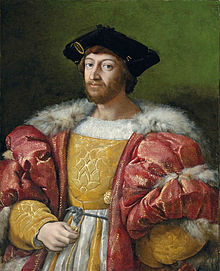 The Pope sent his nephew Lorenzo de’ Medici, Duke of Urbino to act as his proxy. After the christening Urbino was to marry Madeleine de La Tour d’Auvergne, daughter of the Count of Boulogne. The child’s paternal grandmother, Louise of Savoy was in charge of organizing the festivities. Her adviser was the celebrated artist Leonardo da Vinci who was residing at the French court at the invitation of King Francis. He helped design the decorations. It would be the last fête Leonardo was involved with before he died on May 2, 1519. Amboise was filled to overflowing with guests with Louise greeting everyone as they arrived along with an outstanding array of nobles, including the Duke of Bourbon. There were a thousand candles in the courtyard which was covered with a tent made of cloth of gold and embroidered with fleurs-de-lis. From the tent there was a bridge lined with carpet of velvet with pillars covered with gold. An archer stood beside each pillar holding a torch. It was raining during the ceremony but everything was arranged so no one would get wet. The cortege began and was headed by the music. The trumpets of the Queen, the King and Princes, all with banners hanging, blared. These were followed by the gentlemen of the royal Households and the Heralds of Savoy, Brittany, Normandy and the Dauphiné with their chamberlains. Behind them were many men in uniform and then the officers of the King’s household. Next in line were those who had the honor of carrying the instruments of the baptism. The Duke of Vendôme carried the bonnet for the baby and the Monseigneur de St Paul carried the basin. The Constable Bourbon walked with a candle made of virgin wax, the Duke of Alençon with the salt and Monsieur de Lescun bearing the cushion covered with cloth of gold. Walking behind them was the godfather, Lorenzo de’ Medici, Duke of Urbino accompanied by the Ambassadors of the Pope and the Holy Roman Emperor Maximilian I. Urbino carried the baby whose head was supported by Madame de Brissac, his governess. The child was covered with a mantle of cloth of silver lined with ermine. The mantle’s corners were gently held by the Duke of Albany, the Prince of Orange, the Count of Guise and the Marquis of Mantua. Finally the family appeared including Louise of Savoy and the Dauphin’s sisters Louise and Charlotte. Inside the church they were received by the Cardinals of Bourgon, of Boissy and of Bourges, the Archbishop of Toulouse, the Bishop of Paris and many others, all wearing pontifical robes. After the baptism, the King at Arms cried loudly “Long live Monseigneur the Dauphin” three times. The bugles and trumpets resounded along with the organ. There was a loud hurrah from the crowd. Afterwards, everyone made their way to the covered court where a magnificent banquet began. There was feasting, music, dancing and masquerades for everyone’s entertainment and delight. Finally, the legendary Gilbert de Montpensier, “the knight without fear or weakness” dubbed the royal baby knight. The celebrated marriage of the Duke of Urbino followed in the days ahead and was even more splendid than the baptism. After all the rejoicing, Urbino took his new wife back to Italy. From this marriage, Catherine de’ Medici was born. Down the road, Catherine would become the future Queen of France after marrying the new Dauphin’s yet to be born brother Henri, the future King Henri II. Hi Doug, I’m guessing it is a family name? I don’t have any information on the name but I suggest you do a Google search. Ancestry.com might be a good place to start. It always amazes me to read of the amazing pageantry involved in these ceremonies. Just finished reading “Queens Consort” so am well into Medieval Pageantry. Lisa Hilton’s book is very good Kalli. I agree. I just finished it this afternoon.